Constructed with Gore’s WINDSTOPPER laminate, the Jetstream Jacket is a no brainer for cool wind protection. Soft shell fabric facing allows a smooth and almost seamless finish, and helps to ward off a light drizzle and snow flurries. 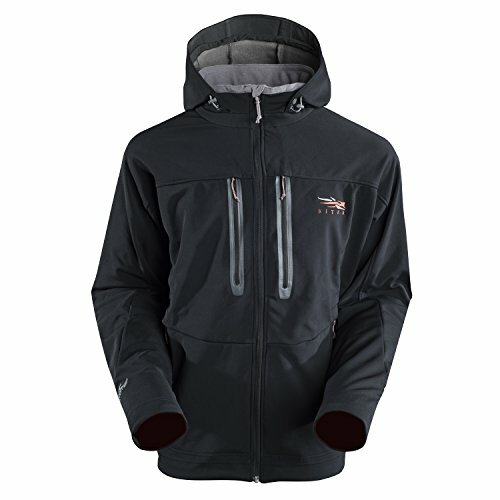 A guide’s best friend, this jacket is a treat for glassing sheep on a wind-blown ridge or stalking into a north wind. Constructed with Gore's Windstopper laminate, the Jetstream Jacket from Sitka is a no-brainer for cool wind protection and breathability. The jacket's soft shell fabric facing provides a smooth and almost seamless finish, and helps to ward off light drizzles and snow flurries. 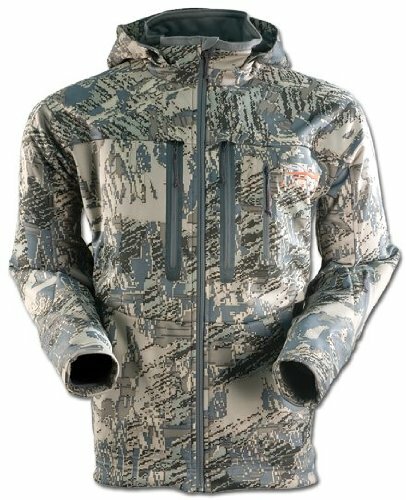 A guide's best friend, this jacket is a treat for glassing sheep on a wind-blown ridge or stalking into a north wind. Other highlights include a hood, a full front zipper, Melco tape accents, and fully articulated arms. Sitka's Jetstream and Stratus series are built using Windstopper Soft Shells to offer total wind protection with maximum breathability, combining the comfort of a soft mid-layer and the water resistance of a shell in one garment. 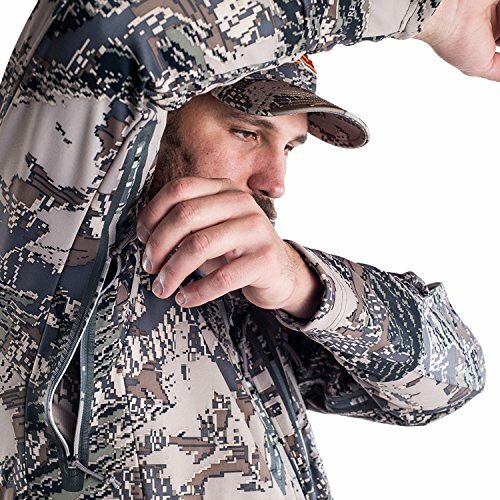 Windstopper Soft Shells keep you comfortable with the freedom of movement you need for enhanced performance in the widest range of hunting and weather conditions. Totally windproof: Protects your body's warmth from the chilling effects of wind and weather. Maximum breathability: Prevents overheating and perspiration build-up by allowing moisture vapor to easily escape. Versatile: Delivers comfort as a mid-layer or outer layer. Water resistant: Sheds rain and snow and dries quickly. Made of soft, quiet, stretchy fabrics. Combines the comfort of a soft mid-layer and the water resistance of a shell in one garment. Wide range of three-layer constructions, from light, thin summer soft shells to warmer, thicker winter soft shells. Optifade camouflage from Gore is the first and only concealment system ever scientifically designed around the way a hunter's prey views the world. It's the only concealment system to combine a symmetry-disrupting macro-pattern with a fractal-geometry-based micro-pattern, designed to become nothing in the eyes of prey at engagement ranges of 20 meters and beyond. The human body has what is known as a signature, made up of identifiable lines and obvious symmetry that is easily recognized by humans and particularly by their prey. By interrupting those lines and the body's symmetry with a macro-pattern of light and dark blobs and streaks, immediate identification is disrupted. But nature has more than the lights and darks that make up the positive and negative shapes in the world around us. Fine texture defines our world. Therefore, overlaid on the macro-pattern is a fractal-geometry-based micro-pattern. Wash: Machine wash warm (104 degrees F). Powder or liquid detergent. No fabric softener. Follow manufacturer's instructions. Dry-clean: If professionally dry-cleaned, request clear, distilled solvent rinse and a spray repellent. Follow manufacturer's instructions. Iron: Steam-iron warm, placing a towel or cloth between the garment and the iron. There is no need to iron the garment until it is completely dry. Bleach: No chlorine bleach. It may damage your garment. Dry: Tumble-dry warm. The heat from the dryer will help reactivate the durable water repellent (DWR) treatment on your garment's outer fabric. Water-repellent treatment: Gore recommends applying a topical water repellency restorative (DWR treatment) for outdoor fabrics, available at your local outdoor retailer. Wash-in treatments are not recommended, as they can affect the garment's breathability. Stain removal: Use a pre-wash treatment such as Shout or Spray 'n Wash, following the manufacturer's instructions. Rinse well. While Sitka's gear is built to be tough, it is not invincible. It will be put to the test, encountering limbs, barb wire, rocks, and other conditions that may harm or damage the gear. If your gear is damaged, and the damage is due to improper use or wear and tear, you will receive an estimate of the cost of repair. If the damage is due to a defect in material or workmanship, the product will either be repaired at Sitka's cost or replaced by Sitka. Sitka had a simple goal: to introduce to the hunting industry a system of clothing that incorporates the latest high-performance fabrics with a mountaineering design philosophy. With Sitka's continued growth of experience and expertise, its focus becomes more defined as it develops specific solutions for specific uses. It doesn't cut corners, it doesn't appeal to the masses. Sitka sometimes gets it wrong, but you can't get it right without trying. The Sitka System is based on a tried-and-true layering system. A system that revolves around base, insulation, and outerwear with a very simple goal: moisture management. At the highest level, the concept is straightforward. 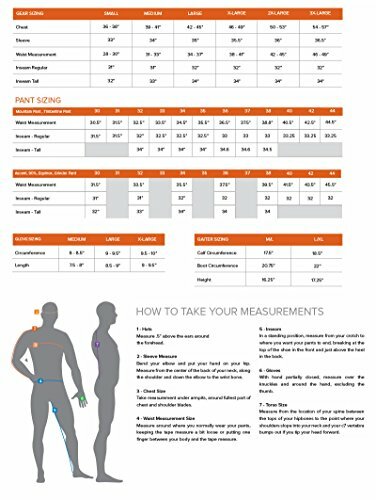 Base layers move moisture away from your skin, keeping you warm when it's cold, and cool and when it's hot. This is the foundation. Insulation and outerwear are your control pieces that are adjusted in response to weather and activity levels that continue the process of moisture management.These same principles apply to the elk hunter in Montana, the sheep hunter in Alaska, and the whitetail hunter in Missouri. The systems are more specific for each hunter and each trip, but the same principles always apply. Founded in 2005, Sitka Gear was an idea spawned by necessity. Like many stories, this one started out as an epic journey that culminated with a clear vision. After 3,000 vertical feet in the dark, with intermittent snow flurries and driving sleet, the morning climb ended behind a gnarled white bark pine to get some reprieve from the elements and a little food in the bellies. Cold and wet with sweat from that climb, it was more than obvious that discomfort like this was unnecessary. So, on that September morning, at timberline, surrounded by bugling bulls, the vision that became Sitka was realized. Drawing on strong backgrounds in the climbing, mountaineering, and general headstrong assaults of the backcountry, the company founders focused on bridging the gaps that existed between these endeavors. Sitka's driving goal is not only to bridge the technology gaps that existed from a fabric, construction, and product-form perspective but to be fully immersed in driving new technologies and solutions for the modern outdoorsman. Sitka's roots are in the mountains, but its solutions range widely. It could be said that Sitka simply makes the best high-performance system of hunting clothes on the market, but it's more than just quality. It's a philosophy: turning clothing into gear.